As a Faculty member at Mercer, I have the freedom to combine my interest in physics with other areas of the natural sciences, and humanities. For example, I teach in the Great Books program. 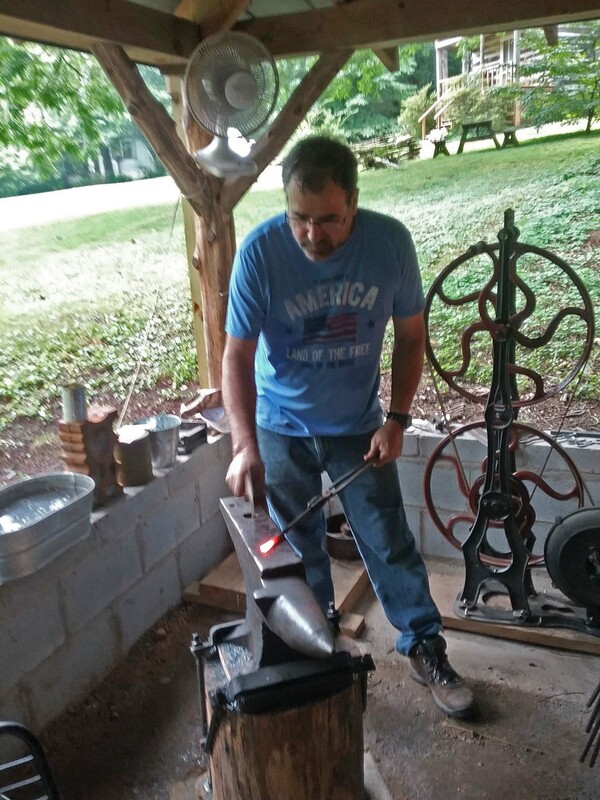 Some of the other classes I teach include Astronomy and the Acoustical Foundations of Music. I am the faculty advisor for the Mercer Astronomy Club. My current research interests are in the areas of Space Resources and the History of Science- the very old and the very latest technologies. In space resources we try to understand how humans can use resources beyond the Earth to enable space exploration and colonization. I am particularly interested in the area of In Situ Resource Utilization (ISRU) for space exploration. The best way to describe ISRU is as living off the land, but the land happens to be the Moon or Mars. For the past few summers I have worked with the Space Resources group at NASA/ Marshall Space Flight Center. This work was shown on the NASA documentary Series Focus on Marshall. The episode is "October, 2007, Dusty Plasma Lab, In Situ Resource Utilization & Technology Development." Click to view Focus on Marshall episodes, or here to load our episode. As everyone knows, NASA plans to go back to the Moon. If we are serious about a sustained or long term presence on the Moon we have to solve some technical problems. These problems include the need for life-support, construction materials and ways of dealing with lunar dust. It is not cost effective to import material from the Earth. To provide oxygen for life-support and propellant we can turn to the Moon itself. Many people are surprised to find that there is oxygen in lunar rocks. Our group is studying ways to extract this oxygen. Dr. Randy Korotev has a very nice web page that explains the chemistry of lunar rocks and how they differ from terrestrial rocks. Lunar rocks and regolith contain silicon, iron, aluminum, titanium and other useful materials. It is possible to extract these materials as well. Silicon is the main component of solar cells and some researchers have suggested manufacturing solar cells from lunar regolith. Metals found in the regolith might be used as structural materials or in electrical devices. NASA is well aware of problems associated with lunar dust. Our first moonwalkers quickly discovered that it stuck to everything. The dust is abrasive and particles can be smaller than one micrometer. This creates all sorts of engineering problems. Back in the Apollo era, astronauts collected lunar samples that were supposed to return to Earth in a sealed vacuum flask. Unfortunately, lunar dust damaged those seals and the material was exposed to atmospheric contamination. 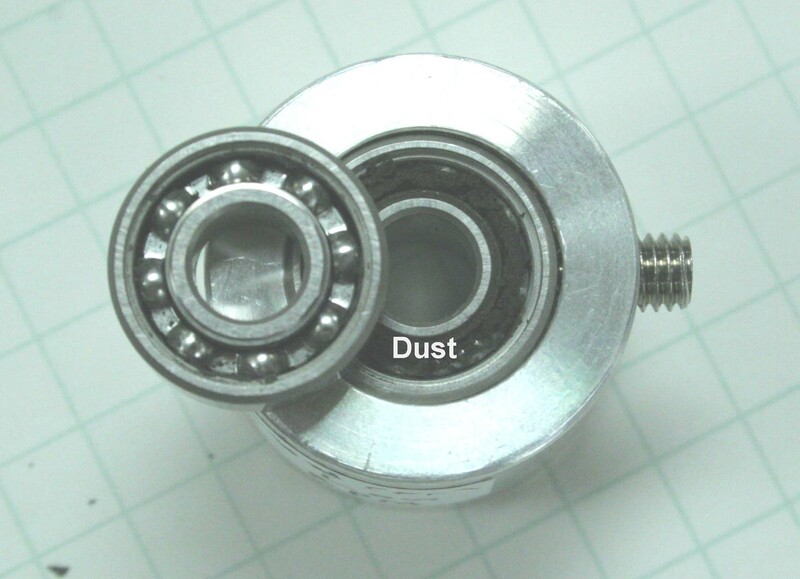 I have done some work on the problems associated with lunar dust getting into bearings. For our experiments we do not use actual lunar dust. Several simulants have been produced from terrestrial materials. Actual lunar material is very rare so we use simulants to conduct our experiments. These simulants have mechanical properties similar to lunar materials. Shown below are several links with more information on the Lunar dust problem. Here is a photo of a bearing that has been exposed to lunar simulant. The bearing on the left is clean and the bearing on the right shows a large amount of dust collected inside. To help the NASA effort, I constructed a device to study bearings that have been contaminated by lunar dust simulants . The device spins the bearing at a particular test angular velocity, while simultaneously monitoring the torque required to maintain that velocity. As the bearing wears, the torque required to maintain a constant velocity increases. The bearing also gets hot and develops vibrations. Sensors measure the bearing temperature and record the vibration spectrum. This device gives us a way to compare different bearing designs and lubricants.